from previous posts you’ll have read about the serious challenges of air pollution in developed cities. 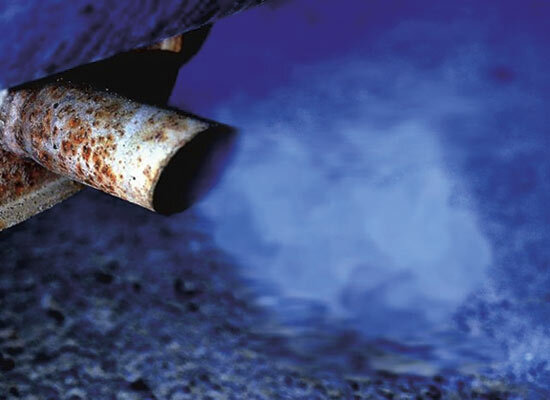 In the UK London introduced the first low emission zone (LEZ) and, five years on, some interesting findings have been recently published. Recent research by Elison, Greaves, & Hensher (2013) – Five Years ofLondon’s low emission Zone: Effects on vehicle fleet composition and air quality – in Transportation Research shows that from 2001, data on levels of particulate matter and nitrogen oxides, both produced by traffic, were recorded at four locations, three within the LEZ and one 25 km away. Particulate matter concentrations were found to be stable or decreasing at the three sites within the LEZ, after introduction of the scheme. Nitrogen oxide concentrations fell both inside and outside the LEZ and were not significantly different between locations. Overall, the authors conclude that the LEZ has had a substantial impact in the composition of the vehicle fleet, increasing the proportion of low-emission vehicles. This in turn has led to a small but significant improvement in air quality. Whilst it’s evident that a low emission zone appears to be having an effective impact on London, the ‘zone’ approach isn’t for every city. Not all cities have the economic stability or resilience of London but there are other measures you can introduce that will have an effect. Reasearch from The University of Oxford (Brand, Anable, & Tran (2013)) published in Transportation Research ‘Accelerating the transformation to a low carbon passenger transport system: The role of car purchase taxes, feebates, road taxes and scrappage incentives in the UK’ shows ‘feebate’can be an effective policy option to aid the transition to a more environmentally-friendly transport system, a UK study suggests. This combinationof fees and rebates can increase the take-up of low-carbon cars, the researchers argue, which leads to reduced life cycle greenhouse gas (GHG) emissions. The research clearly illustrates that a combination of more sophisticated policy tools is needed to both encourage the uptake (purchase) of new, cleaner, vehicles and to discourage dirtier vehicles. The results suggest that, amongst the policy options tested, feebate policies would be especially effective at reducing the four factors studied. Under these policies, there is an additional fee to purchase cars that emit high amounts of CO2, but a financial reward to purchase low-emission vehicles. Under the most ambitious of these schemes, which included increasingly strict feebates, it was predicted that 6% fewer cars would be bought, compared to business-as-usual, by setting fees of up to £8000 (€9464) and rebates of up to £4000 (€4732) per new car. These devices, meshed together begin to form greater levels of intelligence, insight and will produce trillions of bits of data that if collected and analysed correctly will bring about greater insight into consumer behaviour. It may even help smart citizens get smarter. Most likely, it will help business have a greater knowledge and insight into how consumers behave and how to provide new services to them. But there is a stack of dumb things out there which will never be part of the ‘Internet of Things (IoT)’ … unless you retrofit smartness to them. One such application, which is getting a high profile on Linkedin (amongst other places) is ’tile’ – http://www.thetileapp.com/ which makes dumb(ish) things smart(er). I am not a consumer of the tile (yet), I have no financial interest in ’tile’ but it looks like a neat product that could provide added-smartness to otherwise dumb things. It can be used by the consumer to find mis-placed keys (a new application to an age-old problem) or to track a stolen laptop, bike, car through meshing together the apps used by tile users. That is, of course, if the thief doesn’t simply rip if off and discard it. The success of this product will be greatly enhanced if the uptake of it meets a critical mass. No doubt there will be competition in the market soon – but it looks like a neat product. And who wouldn’t want to make dumb things smarter? Two stories came across my inbox in the last couple of days – the first, a piece outlining DEFRA’s consultation on local air quality management in England (see https://consult.defra.gov.uk/communications/https-consult-defra-gov-uk-laqm_review) and the second, a really good piece by Geoff Lean (http://www.telegraph.co.uk/earth/earthcomment/geoffrey-lean/) of The Daily Telegraph. Firstly, the local air quality management (LAQM) regime has long been recognised as overly bureaucratic and under-performing. DEFRA’s consultation says there is a need to “reinvigorate and refocus local air quality management” towards achieving EU air quality standards, rather than diagnosing poor air quality at a local level. Its preferred option to achieve this would be to repeal of councils’ existing LAQM duties to assess, report on and tackle poor air quality in designated air quality management areas (AQMAs). All 520 AQMAs in England would be scrapped and no new ones would be designated. So, at a time when air quality is a challenge all cities in the UK appear to be struggling to deal with – largely as a consequence of traffic emissions – why are the few (and weak) regulations in place being considered ‘scrappable’? What’s driving this question? Is it the view that regulation is bad, unnecessary and ineffective or is it driven by Whitehall’s desire to reduce costs on the public purse? DEFRA’s consultation impact assessment includes up to £48.5m in savings over 10 years from reduced monitoring by council. The department notes that there would probably be “less scrutiny… on local hotspots”. At a time when awareness of local hotspots is high amongst effected communities, removing the need to monitor air quality would undermine a local authority’s ability to act upon it. Given the extent to which EU air quality objectives are being breached, this is madness. So, at a time when Government policies have created an increase in diesel engines and air quality isn’t getting better, is it right to reduce the ‘burden’ of monitoring and acting upon air pollution? More cynically, why are DEFRA consulting now, through the summer period when response rates are notoriously low and the visibility of this consultation is low. I would urge those of you reading this blog to ensure you respond to the consultation. When city leaders embrace innovation and when they collaborate, significant long term benefits can be achieved. Across the globe, forward-looking city leaders are embracing change and reaching beyond city hall to drive sustainable economic growth and enhanced quality of life for their citizens. In the UK the break-up of old-style regional government and the abandonment of regional development agencies has led to a void in mid-scale governance that is being filled by cities. Aside from London, the UK doesn’t have too many big cities, perhaps with the exception of Birmingham. But whilst those cities might not be big in numbers, they’re certainly stepping up to the plate in building relationships with central government, demanding devolution in return for delivery. Now, other cities have joined the City Deals process – see https://www.gov.uk/government/policies/giving-more-power-back-to-cities-through-city-deals for more information. It is clear that cities have a key role to play. They are being given the opportunity to set out how they could deliver better, faster and more sustainably. These factors are at the heart of city deals. But those cities are also part of a changing city region geography, based on economic geography as opposed to traditional regions and that is scaling up both the challenge and the opportunity. But herein lies the danger. The pace at which growth plans and investment plans are being produced is in danger of focusing on the traditional economic approaches and failing to address emerging agenda. Collectively, and individually, cities in the UK are beginning to understand the ‘Smart City’ concept. It’s been propogated by initiatives such as the Technology Strategy Board’s ‘Future Cities Programme’ and forward thinking (but entirely commercially focused) protagonists such as IBM. It is crucial that in our growth plans, individually, and collectively, the ‘smart city’ concept is embraced and integrated. It will prove essential if we are to achieve the resource efficiency needed to ensure citizens continue to enjoy a good quality of life. It will prove vital if the cities in the UK seek to attract visitors, investors, ambassadors. The leaders within our cities are key to ensuring this ambition is spelt out. Without endorsing any one business the film produced by IBM here certainly makes the case for the use of data to inform decisions and improve the quality of life for its citizens. Also great to see increasing investment in hydrogen and delighted that Sheffield’s ITM Power (www.itm-power.com/clean-fuel/) are leading the way in that respect. So, whilst EVs are phasing in ever-quicker in the private car and light van market and hydrogen is catching up, it leaves a gap for the heavier vehicles. Which is why we’re working with fleet operators to develop refuelling stations across Sheffield City Region supplying compressed natural gas and biomethane. This forms part of the South Yorkshire bid to the Dept for Transport’s Clean Bus Technology Fund. Industrialised, and rapidly developing cities, are faced with an invisible killer. Whilst, on the whole, the developed West (and particularly in Europe) environmental regulations have made a significant impact in controlling and reducing emissions of pollutants to the air, cities continue to suffer from the emissions of nitrous oxide, particulate matter and even sulphur and ozone, as a result of road traffic. Not all traffic though. Only traffic that happens to be fuelled with fossil fuels and, in particular, diesel. A recent report ‘Public Health Impacts of Combustion Emissions in the United Kingdom’ (http://pubs.acs.org/doi/abs/10.1021/es2040416) states ‘Combustion emissions are a major contributor to degradation of air quality and pose a risk to human health. We evaluate and apply a multiscale air quality modeling system to assess the impact of combustion emissions on UK air quality. Epidemiological evidence is used to quantitatively relate PM2.5 exposure to risk of early death. We find that UK combustion emissions cause 13,000 premature deaths in the UK per year, while an additional 6000 deaths in the UK are caused by non-UK European Union (EU) combustion emissions. This isn’t the only study saying this – there’s significant amounts of academic research from a range of disciplines being undertaken worldwide, looking at the causes and effects of poor air quality. Simply, they all say there is a massive social, environmental and economic cost. Here in the city of Sheffield, we suggest the costs of poor air quality in the city costs our local National Health Service provides hundreds of millions of pounds every year, treating those who suffer chest and lung ailments as a result of the pollutants in the atmosphere. Those more exposed (often living, or working closer to the sources of poor air quality) are more likely to suffer. Those who are young, or old, or in poor health are more vulnerable. So, what’s the solution and who is charged with delivering it? Well, in truth there is no one solution – it will be a combaination of many, many interventions. Every city taking this issue serviously will be looking at a range of options to tackle this problem – and some are easier to introduce than others. To inform those choices, it is important to understand in fine detail the sources of your air quality problem. Locally, we have undertaken an assessment of the vehicles running on Sheffield’s roads and have monitored emissions on key arterial routes to understand the actual (rather than modelled) emissions from passing vehicles. It is helping us to better understand whether all vehicles are equally responsible, or whether we need to target particular fleets (HGVs, buses, taxis, private vehicles, light goods, etc). Across South Yorkshire we have idenitifed a number of key sites for the development of gas refuelling infrastructure and are working with the fleet operators and the industry more generally to begin its development. Over coming weeks and months, I’ll post updates on this important programme of work.